You can find individual Lenahan & Dempsey lawyers listed in publications as diverse as "Best Lawyers in America"* and "Pennsylvania Super Lawyers®**. Three of our lawyers have been honored by being featured in Best Lawyers in America. Six of our lawyers have achieved Pennsylvania Super Lawyer status as published in Philadelphia Magazine while others have been named "Rising Stars" in the same publication. 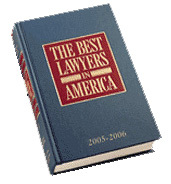 * The Best Lawyers in America 2010. Copyright 2010 by Woodward/White, Inc., Aiken, SC Selection criteria for Best Lawyers can be found here. 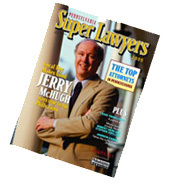 ** Selection criteria for Pennsylvania Super Lawyers can be found here.